With an experienced diagnostic evaluation you can be assured that the best possible treatment is given to you enabling the results you need. It is important to expose the underlying cause of disease by means of a thorough analysis. Treatment is always tested for accuracy and effectiveness. Most of us have symptoms of poor health - low energy, decreased vitality and unexplained feelings of ill health are just a few. Whether specific or general, these symptoms can result in chronic disease if left untreated. Dis-ease or apparent symptoms are seen as a reaction to imbalances in the body. There is always an underlying cause, no matter what the disease is named or how severe the symptoms are. Following an extensive evaluation, discussed later, the naturopathic approach educates you about the cause of your present health problems and will suggest ways to assist healing and the ongoing maintenance of vital health. Through growing awareness, Naturopathy has gained the recognition of our Australian Health Care System. 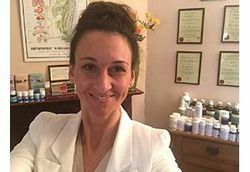 The holistic approach used by Naturopaths for prevention and treatment of disease is increasingly being recognised by main stream medicine owing to ongoing scientific research and clinical results. The practice of Naturopathy uses a range of modalities such as nutrition, herbal medicine, homeopathy and lifestyle advice. Herbal	Medicine The oldest and most universally practiced form of medicine. Herbal prescriptions are based on age-old traditions, however is now being enhanced by the ever increasing scientific research and literature available on herbs. The use of herbs may be as teas, tinctures, fluid extracts or tablets. 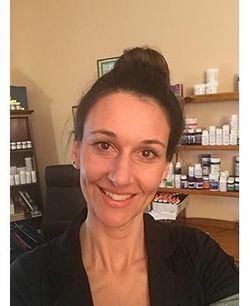 Nutrition and Diet ‘ A Naturopath will help you identify relationships between diet, food sensitivities and environmental influences that prevent your good health. Good nutrition must be given serious consideration. Indifference to its vital role will lead to imbalances, eventually seen as a system of poor health. Stress, environmental and chemical pollutants will accelerate this imbalance and disease results. Homeopathy Simply put, homeopathic medicines are the electro-magnetic transfer of extremely diluted ingredients. These medicines act to stimulate detoxification and the body’s own curative abilities. Iridology Iris diagnosis can ascertain a detailed picture of the integrity of the body, indicating constitutional strengths and weaknesses and areas of congestion or toxic accumulation. It is a very useful diagnostic tool. 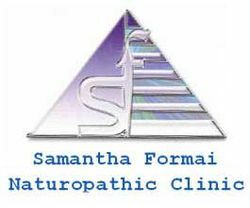 In a typical Naturopathic consultation a relevant case history is taken and diagnostic methods such as Iridology and Chinese pulse readings are applied. With an experienced and thorough health analysis you can be assured that the best possible treatment is given to you enabling the results you need. At this clinic we treat you as an individual, and not just your symptom or disease. This is an effective and lasting way of improving health. Homeopathic, nutritional and herbal medicines are progressional in their action. Re-evaluation and testing of health is important in the development of healing and to monitor treatment changes, it is therefore important to maintain appointments. Encouraging professional support is always given. Persistence is the key! The results of your treatment are important in order to assess your progress. Unless you communicate with the practitioner, we have no way of knowing how to further improve your treatment. Did I try and maintain what was prescribed? How many of the dietary adjustments did I really follow? Was I able to reveal to the practitioner all of the issues that contributed to my state of health? Was I able to return to the clinic so my progress and treatment could be monitored accordingly. If your health is important to you and you answered ‘no’ to any of these questions, it is recommended that you return and speak to the practitioner. This clinic is run on appointment times booked in advance, so the time is reserved for you. If you cannot keep your appointment please give 48 hours notice. Your consideration in this matter is appreciated as someone may benefit from your appointed time. The practitioner reserves the right to charge a cancellation fee. Naturopathic services are GST free and may be claimed on private health cover. Just call for more information or to make an appointment. Samantha Formai ND, Hons, Post Grad, ORT, Nut.